Making metabolic reset part of your daily routine can help you control cravings and eat more sensibly. 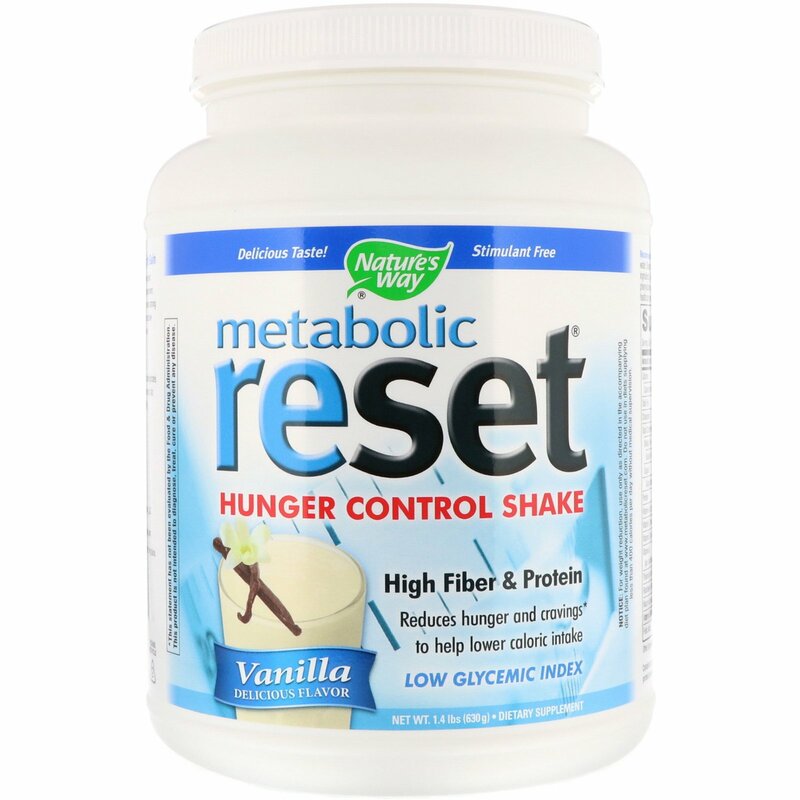 metabolic reset is formulated to reduce hunger and cravings, making it part of a healthy weight management plan, which should include a healthy diet and regular exercise. As part of a healthy weight management plan, which includes a healthy diet and regular exercise, metabolic reset helps reprogram appetite to reduce hunger and cravings. No aspartame, sucralose or preservatives. High fiber / high protein. Only 6 grams of net carbs per serving. Contains 100% whey protein isolate. Fortified with vitamins & minerals. Mixes easily - just add water. Just 130 calories per serving. Both the whey protein isolate and the Viscofiber in metabolic reset help increase satiety, resulting in a prolonged sense of fullness. By avoiding feelings of hunger, you can comfortably eat less food, less often, and consume fewer calories. Hunger can make you choose foods that are quick and easy; unfortunately, convenience foods can wreak havoc on your ability to manage your weight. Because the fiber in metabolic reset hunger control shake will make you feel fuller and more satisfied, it can help you resist the urge to grab what's most convenient, including high-glycemic foods. So after enjoying metabolic reset, you’ll feel like you’ve taken control of your hunger and will be better able to make smarter choices. Consumption of high-glycemic foods may lead to a repetitive cycle of frequent hunger and excessive cravings. Lower-glycemic index choices, including metabolic reset, may result in better eating and more efficient weight management. Excessive cravings, especially for carbohydrates. Increased conversion of blood glucose to fat. Tiredness, low energy and irritability. Recommendation: To make a satisfying shake, add 2 scoops (45 g) of powder to 8 ounces of cold water. Shake or stir briskly into a smooth consistency. If desired, blend in fruit or other healthy ingredients. May also be mixed with skim, soy or other milk. 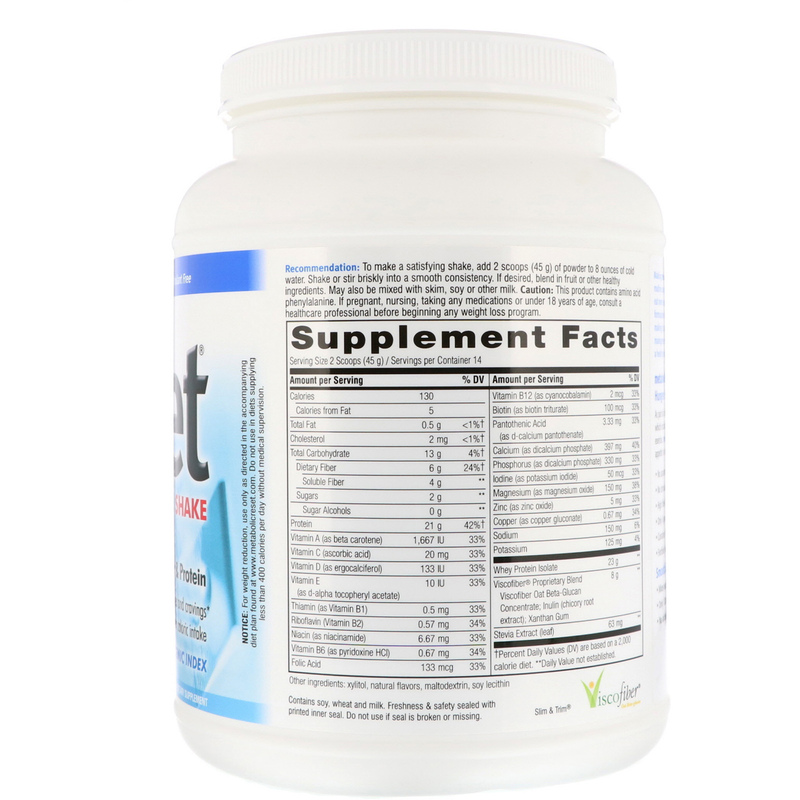 Xylitol, natural flavors, maltodextrin, soy lecithin. Freshness & safety sealed with printed inner seal. Do not use if seal is broken or missing. Sold by weight, not volume. Store in a cool, dry place. Keep out of reach of children.